We all want to be the king. We want the cape, the sword, the adventure. We want to be rich. We want mutton, and lamb whenever we have the craving. We want mead poured into goblets by beautiful women, and minstrels singing us songs. But most of all we want the crown. We want the crown because it represents more than just gold on your head. It is power. The power to protect a kingdom. To overthrow other kingdoms. It is the way you get the girl...all of the girls. The crown is the glue holding your kingdom together. Whoever holds the crown holds the power. Do you hold the crown? Do you hold the power? You could. 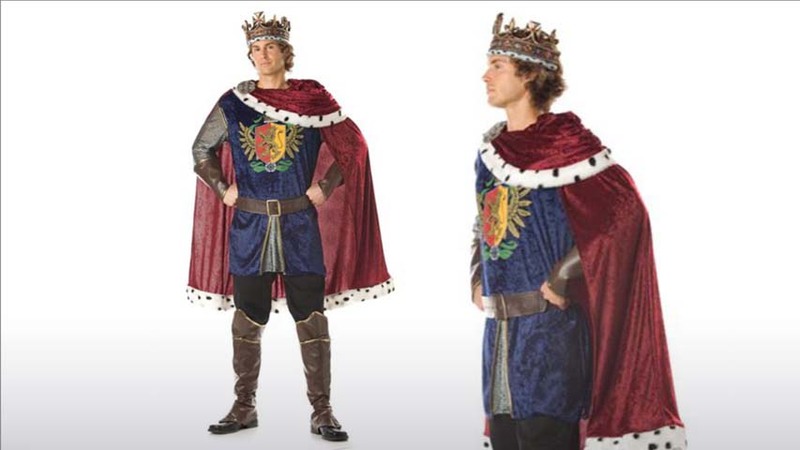 This Noble King Costume is the way to show your fellow LARPers who really holds the power. 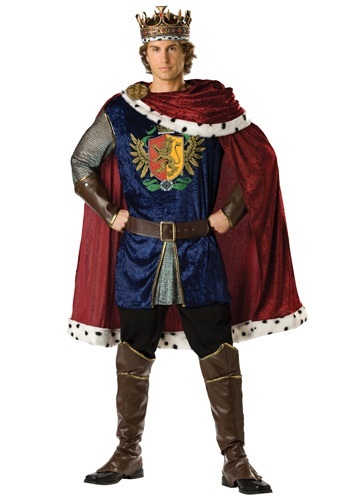 You will be the indisputable king with this costume. Your friends will all bend the knee to you, pledging their fealty, and they will respect you. So, put on this red velvet cape, get a long broad sword (with very sharp edges), and start your adventure. You will be rich, and powerful beyond measure. Ladies will be lining up in the street for you, brandishing goblets of mead, and offering mutton chops. And everyone will be shouting "Long live the King!"